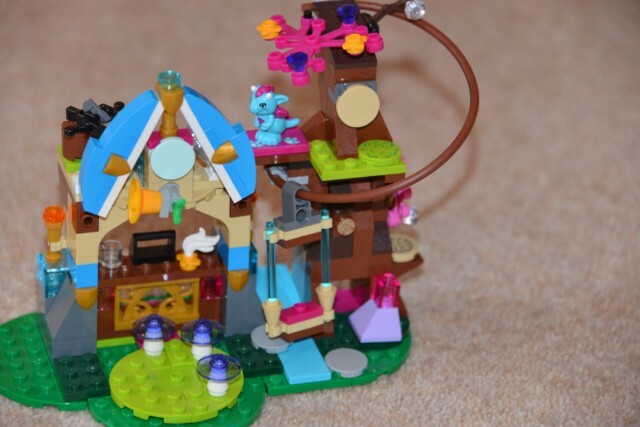 My little girls adore LEGO Elves and were very excited discover that 6 new sets have just been launched! This is a beautiful set which Sydney and Hannah have spent many happy hours playing with, they love the baby dragon and the fact that he has to be trained in a school really captured their imagination. The set includes Tidus Stormsurfer the Dragon Trainer and Miku the baby dragon and has lots of lovely touches including a bell to signal the start of school and a blackboard. We giggled at the thought of a cookie shooter to encourage Miku to fly and the working zip line is fantastic too. We especially enjoyed putting Miku to bed after a long day at school! 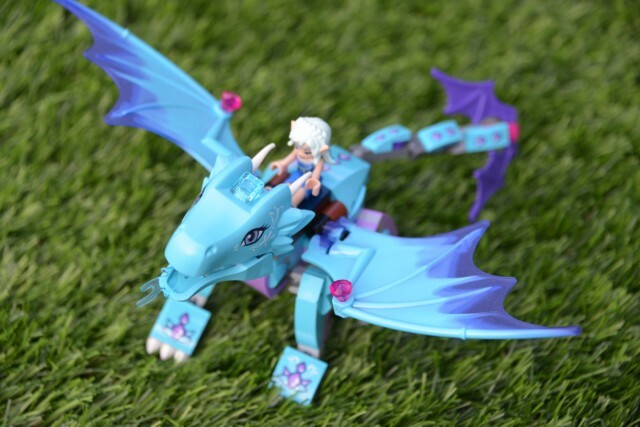 This is another super cute set which comes with Naida Riverheart the water elf and Merina the water dragon who are in search of new and interesting places. The set comes with a mini waterfall with hidden treasures and a handy catapult function. I like that the story behind this set encourages children to look around and explore, stimulating their curiosity about the world. My 7 year old managed to build both the above sets with very little help and has spent a lot of time along with her younger sister playing with them and making up stories. It’s been lovely to watch. Other new sets include The Starlight Inn (RRP £24.99) which includes Spark the baby fire dragon, Azari Firedancer and Sira Copperbranch the Sky Captain. The Starlight Inn also has a hidden staircase, a drawer under a bed that opens and a flame element that can be turned to light a candle or heat a teapot. The Fire Dragon’s Lava Cave (RRP34.99) comes with Zonya the fire dragon, a secret map, cosy moss bed, campfire and fountain that transforms from green poisoned water to lovely but clean water. 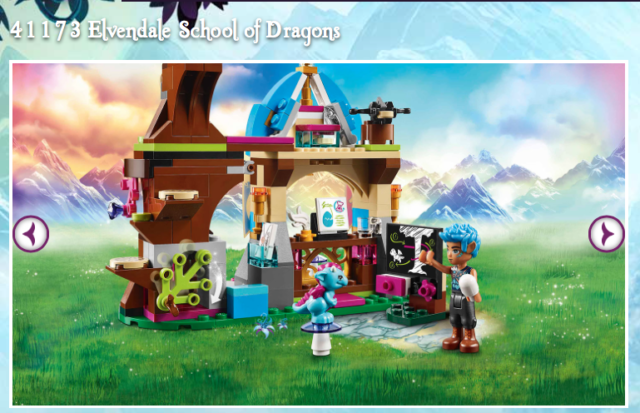 The animations on the LEGO website really bring the sets to life so I would definitely recommend taking the time to watch before building. There are short stories, introductions to characters and even music videos. There are also writing sheets and colouring pages to download, which have inspired my children to write some lovely stories about the LEGO Elves. Next on our list to buy are the Epic Adventure Ship and Secret Market Place as we really want the green dragon and I love that it has pumpkins and a little post office. We’re also on a mission to collect all the baby dragons! Wish us luck. Hope you get all the dragons! 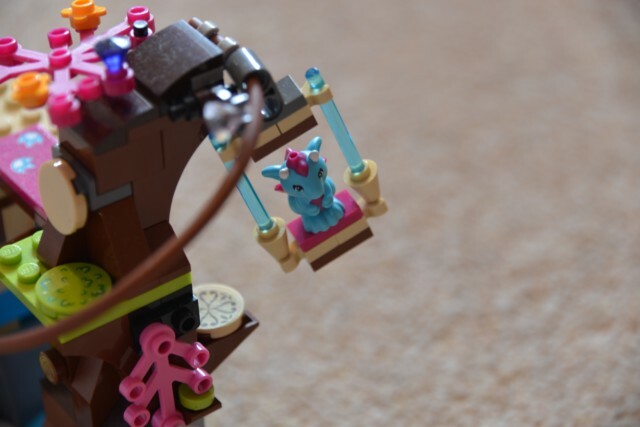 These look great fun – I always think that Lego is a brilliant toy and so creative. So nice to see Lego that girls can enjoy too. I love the lego sets – we mainly have the DC ones but I’ll have to go and have a look at these!